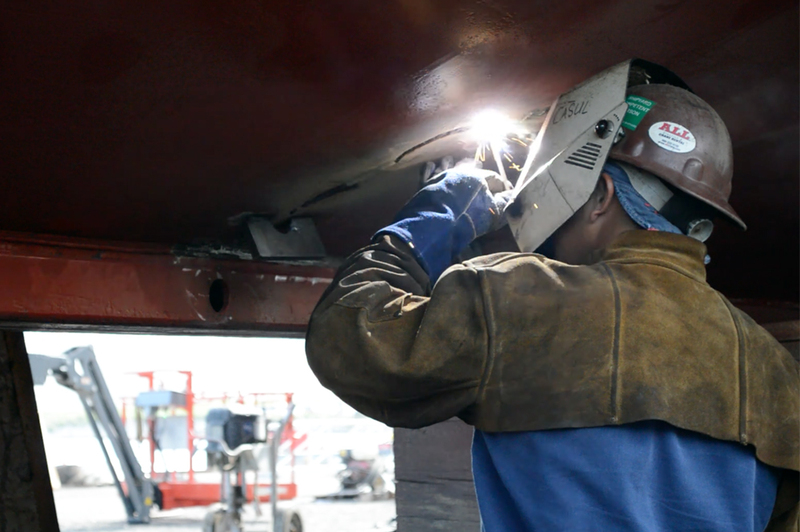 Utilize welding and ship fitting skills to fabricate and weld material in a shipyard and shipboard environment. Candidates must have the ability to weld and perform structural fitting in order to perform the essential job duties with or without reasonable accommodation and without posing a direct threat to safety or health of employee or others. Must be knowledgeable in flux core and shielded metal ARC welding. Must have prior outfitting/fabricating experience. Must be able to read and understand blue prints. The ability to work with and fit steel plate from 3/16 and heavier, set up and lay out, bending light & heavy metal and understand all fabricating machines such as brake, sheer, roll and others. The capability to take on tasks with minimal supervision. Must currently hold a High school diploma or equivalent and prior AWS certification. Candidates must be able to pass background check and have E-verify authorization. Candidates must meet the following minimum work environment requirements: Wear Personal Protective Equipment (PPE) appropriate to current or daily job duties. Be fit for a respirator. Carry up to 50 pounds. Climb stairs and ladders on daily basis. Access confined spaces certified safe for entry. Bend, twist, kneel, and reach constantly. Endure noise, fumes, dust and inclement weather. Work overtime and weekends as needed to meet production demands.